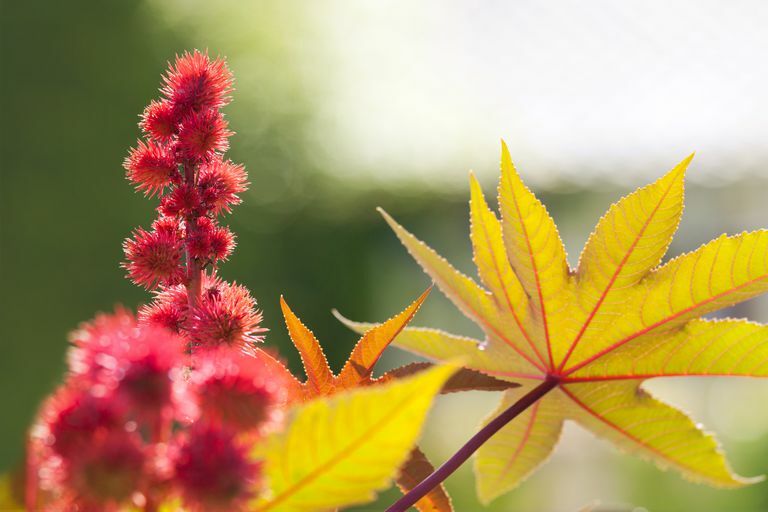 Castor oil is a natural remedy derived from the castor bean (Ricinus communis). Long used in traditional medicine, castor oil is often found in lubricants and in laxatives. The main component of castor oil is ricinoleic acid, a type of fatty acid shown to possess anti-inflammatory properties. Since castor oil can be toxic when consumed in large amounts, medical experts typically recommend using it only externally over unbroken skin. In addition, castor oil is said to induce labor in pregnant women. A castor oil pack is created by soaking a cloth in castor oil. When placed on the skin, castor oil packs are thought to enhance circulation and promote healing of the tissues and organs underneath the skin. Some alternative medicine practitioners also use castor oil packs to improve liver function, relieve pain, reduce inflammation, and improve digestion. Find out how to make a castor oil pack. Labor: Castor oil does not appear to induce labor, a 2009 study from the Australian & New Zealand Journal of Obstetrics & Gynaecology shows. The study involved 612 women whose pregnancy had lasted longer than 40 weeks. Of those women, 205 received castor oil for induction of labor. The study's authors found that the time to birth was not significantly different between the two groups. Laxative: Castor oil packs may improve some symptoms of constipation, according to a 2011 study from Complementary Therapies in Clinical Practice. In tests on elderly patients with constipation, researchers found that seven days of treatment with castor oil packs helped reduce several constipation symptoms (such as straining during defecation). However, castor oil packs failed to have an effect on the number of bowel movements or the amount of feces. Hair: To date, there is no evidence that castor oil can stimulate hair growth. However, preliminary research published in the Journal of Cosmetic Science in 2003 indicates that castor oil may improve hair by increasing its luster. Arthritis: Taking a castor oil supplement may be of some benefit to people with osteoarthritis of the knee, a 2009 study from Phytotherapy Research suggests. For four weeks, 50 people with knee osteoarthritis took capsules containing either castor oil or diclofenac sodium (a non-steroidal anti-inflammatory drug) three times daily. Results revealed that both treatments were significantly effective. Castor oil can be found in drugstores, natural-foods stores, and stores specializing in dietary supplements. In addition, castor oil can be purchased online. Castor oil hasn't been tested for safety and keep in mind that the safety of supplements in pregnant women, nursing mothers, children, and those with medical conditions or who are taking medications has not been established. You can get tips on using supplements here but if you're considering the use of any form of alternative medicine, talk with your primary care provider first. Arslan GG, Eşer I. "An examination of the effect of castor oil packs on constipation in the elderly." Complement Ther Clin Pract. 2011 Feb;17(1):58-62. Boel ME, Lee SJ, Rijken MJ, Paw MK, Pimanpanarak M, Tan SO, Singhasivanon P, Nosten F, McGready R. "Castor oil for induction of labour: not harmful, not helpful." Aust N Z J Obstet Gynaecol. 2009 Oct;49(5):499-503. McMullen R, Jachowicz J. "Optical properties of hair: effect of treatments on luster as quantified by image analysis." J Cosmet Sci. 2003 Jul-Aug;54(4):335-51. Medhi B, Kishore K, Singh U, Seth SD. "Comparative clinical trial of castor oil and diclofenac sodium in patients with osteoarthritis." Phytother Res. 2009 Oct;23(10):1469-73. National Institutes of Health. "Castor oil overdose: MedlinePlus Medical Encyclopedia". October 2011. Vieira C, Evangelista S, Cirillo R, Lippi A, Maggi CA, Manzini S. "Effect of ricinoleic acid in acute and subchronic experimental models of inflammation." Mediators Inflamm. 2000;9(5):223-8.